Here's an interesting look at how Rivals rated the 2012 NFL Draft picks when they were coming out of high school. Here they are by rounds: Round 1, Rounds 2-3, and Rounds 4-7. In the first round, there were four former 5-stars, thirteen former 4-stars, and ten former 3-stars. Four former 2-stars made the cut, and 28-year-old quarterback Brandon Weeden graduated high school before Rivals started doing ratings. It's easy to figure out that James Ross is a great prospect. Take a look at his TTB commitment post, his TTB recruiting awards (yes, that's plural) or his consensus four star status among the major recruiting sites. Ross also has an offer list that includes USC, Ohio State and Notre Dame, and he's an alumnus of the U.S. Army All-American game and the International Bowl. But really, his film speaks for itself. I should be talking with James sometime in the near future, so leave a question for him if you'd like, and I'll address it the interview. This is a little late, but whatever. Upper Marlboro (MD) Frederick Douglass wide receiver Paul Harris was offered by Michigan. The 6'3", 187 lb. 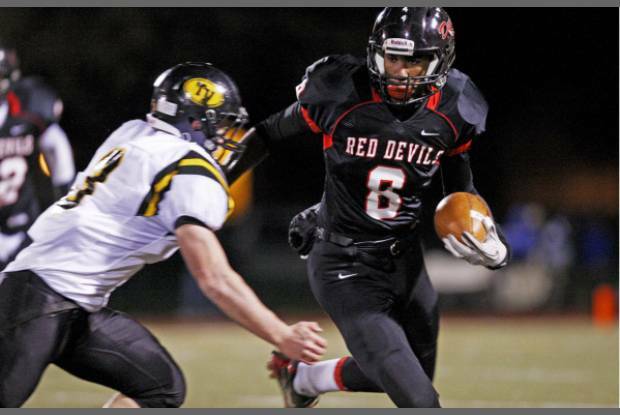 Harris had 38 catches for 875 yards (23.0 yards per catch) and 13 touchdowns as a junior in 2011. 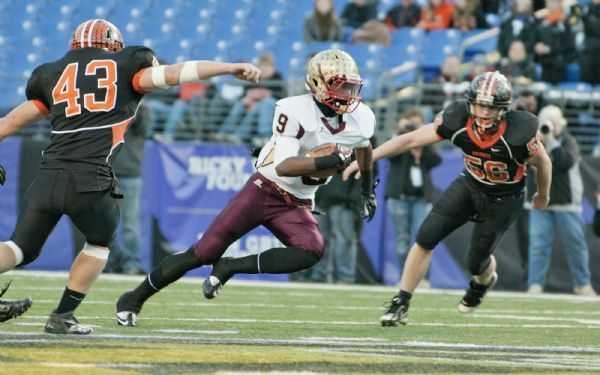 He also has offers from Maryland, Michigan State, Penn State, and USC, among others. He plans to visit Ann Arbor on June 21 for a one-day camp. 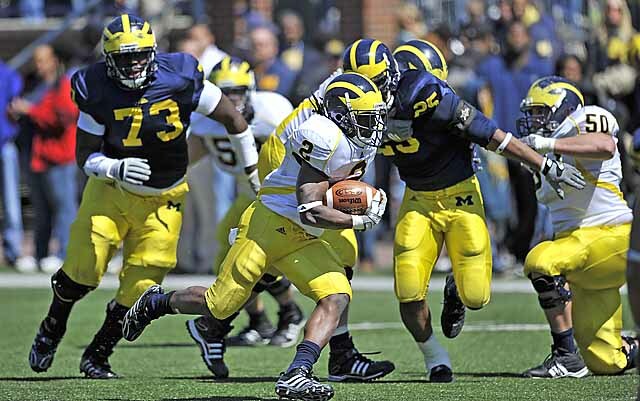 Paramus (NJ) Paramus Catholic cornerback Jabrill Peppers, a 2014 prospect, received a Michigan offer. He's a 6'0", 190 lb. 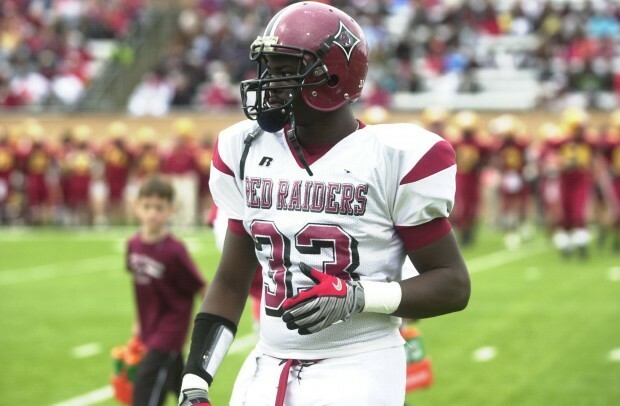 athlete with offers from Florida, LSU, Rutgers, and South Carolina, among others. He transferred in the offseason from Ramsey (NJ) Don Bosco Prep, a school that has produced many top-notch prospects in recent years. Chandler (AZ) Hamilton offensive tackle Casey Tucker, a 2014 target, was offered by Michigan. 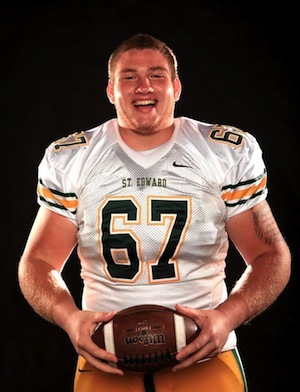 The 6'6", 275-pounder also has offers from Arizona State, Oregon State, and Washington. Hamilton is also the home of 2013 cornerback target Cole Luke, 2011 offensive tackle target Christian Westerman (Auburn), and 2008 running back target Covaughn DeBoskie (Cal). 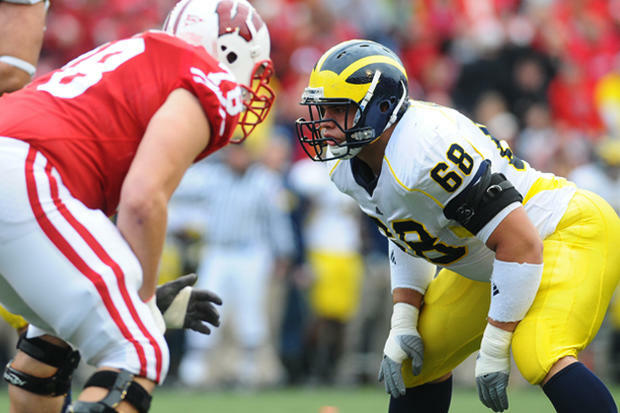 Michigan defensive tackle Mike Martin was drafted in the third round of the NFL Draft on Friday night . . . and he cried. He cried. There's nothing wrong with a man crying, but I thought he was the Hulk. The Hulk doesn't cry. Congratulations to running back Michael Shaw, who has agreed to terms with the Washington Redskins. Congratulations to defensive back and Texas native Troy Woolfolk, who agreed to a deal with the Dallas Cowboys as an undrafted free agent immediately following the NFL Draft. Congratulations to defensive lineman Ryan Van Bergen, who announced immediately following the NFL Draft that he is expecting to sign with the Carolina Panthers. Ann Arbor.com with RVB's reaction. Local product Mike Martin got drafted by the Titans! Congratulations to wide receiver Junior Hemingway, who was drafted in the seventh round (#238 overall) by the Kansas City Chiefs this evening. Hemingway joins fellow Wolverine Steve Breaston, and may also find some time to spend with his good friend James Rogers, who lives in the area and plays for the arena league team the KC Command. Congratulations to center David Molk, who was drafted in the seventh round (#226 overall) by the San Diego Chargers today. Molk joins fellow Wolverines Stephen Schilling and Jonas Mouton, who were selected by the Chargers in last year's NFL Draft. Congratulations to defensive tackle Mike Martin, who was drafted in the third round (#82 overall) by the Tennessee Titans last night. Junior Hemingway's going to get drafted (probably). He was a surprising development this year after watching him suffer through injuries and illness for his first few years on campus. Smart Football: "If you really want play action, you better pull a guard"
Smart Football talks about creating convincing play-action by pulling an offensive guard. Some high schoolers are too inexperienced to realize what a pulling guard means (or they're just slow to react), but at higher levels, defenders start to react quicker. Kyle Kalis is a five-star offensive lineman who can claim offers from Alabama, Florida, Ohio State, LSU, and Notre Dame. Most likely NFL bound, Kyle "just wants to tear your head off," according to Michigan offensive line coach Darrell Funk, while he expects "blood on the field" when playing against Ohio State. And as you can see, he also has excellent taste in men's ties. If you have a question for Kyle, leave it in the comments section, and I'll bring it up when I interview him. Martin is the likely top choice out of Michigan. He's 6'1 3/8", 306 lbs. and ran a 4.86 forty yard dash at the NFL Combine. He also put up 36 repetitions on the 225 lb. bench press. Martin is too undersized to play nose tackle in the NFL, but I think he can play as a defensive end in a 3-4 look or as a 3-tech defensive tackle in a 4-3 defense. Martin is pretty quick and uses leverage very well, and best of all, he's a hard worker with a good motor. I don't know if Martin will be a Pro Bowler, but he could have a ten-year career. Molk is 6'0 7/8", 298 lbs. and ran a 5.2 forty. The general knock on Molk is that he's not very big, which is true. He is very quick, though, and excelled in the zone blocking system run by Rich Rodriguez from 2008-2010. Molk looks like an NFL backup, but one of the problems with him will be that he doesn't offer any position flexibility - he's a center and that's it. Lots of teams like their backup centers to be able to be plugged in at guard, too. I doubt anyone's going to hand Molk a starting center job, but he could be brought in as the heir apparent to a veteran center or to work in for a zone running team. Hemingway is 6'0 7/8", 225 lbs., and ran a 4.51 forty yard dash at the NFL Combine, which is much faster than I expected him to run. Hemingway doesn't play that fast, and his real strength seems to be the timing on his jump balls and his ability to outmuscle opposing receivers. For a receiver with just average height, 225 lbs. is a lot. Hemingway struggled with staying healthy early in his career, and his inability to get separation consistently limit him to being a possession receiver at the next level. Van Bergen is a 6'4 1/2", 290 lb. defensive end with a 4.99 forty. He's a high character guy who has a little bit of surprising athleticism. He lacks the pass rush abilities to make a star-level impact at the next level, but he could be an Aaron Smith-like defensive end for a 3-4 team or a left/strongside end for a 4-3 team. I think he might be able to play for five or six years, but his ceiling is probably a journeyman type of career. Koger measured in at 6'3 3/4" and 253 lbs. with a 4.8 forty. He was borderline draftable before hurting his Achilles, so I sincerely doubt whether he'll get picked. Koger has decent size and speed, but he's not a particularly good runner after the catch and his hands are a bit shaky. He might be able to be a second or third tight end for someone, but I don't think he'll ever be a starter. I never realized that Steve Watson set a record at Michigan (and I'm not sure how "official" the record is), but jeez, this guy bounced around a lot. His 4.6 forty really surprised me at Michigan's pro day. I'm not an NFL expert, but I like doing this anyway. I did okay in 2011 and 2010 and here's my mock 2012 NFL Draft. Debate away! The Colts have already told Luck that he'll be the choice, and I think Luck is the most Peyton Manning-like quarterback to come out of college since . . . Peyton Manning. He's an extremely intelligent player. I hate the potential because I don't like the Redskins and they tend to mess up everybody they pick in the draft, so this is the beginning of the end of Griffin's career. The Vikings need to rebuild, and that has to happen at quarterback and on the offensive and defensive lines. With both of the top quarterbacks gone, they need a blindside tackle to take the spot long held by Bryant McKinnie. The Browns have been building their offensive line a little bit, but with Peyton Hillis gone to the Chiefs, they need a horse to run the ball. Running the ball is still extremely important in the AFC North. With Bill Sheridan as the new defensive coordinator in Tampa Bay, he needs a cornerback who can make some plays. Claiborne is the top corner in the class. Sam Bradford has proven that he can throw the ball around the field, but he needs a good receiver if he wants to get the Rams back to being "The Greatest Show on Turf." I really like Ingram, and the Jaguars need a pass rush since they drafted a couple defensive end busts a few years ago (Derrick Harvey, Quentin Groves). The 2012 Jake Locker/Christian Ponder Award goes to the Miami Dolphins, who reach for a quarterback in the first round. Ugh. Cox is a good defensive tackle, but I don't know if he's deserving of this high a pick. I'm not extremely impressed with any of this year's defensive tackles, really. 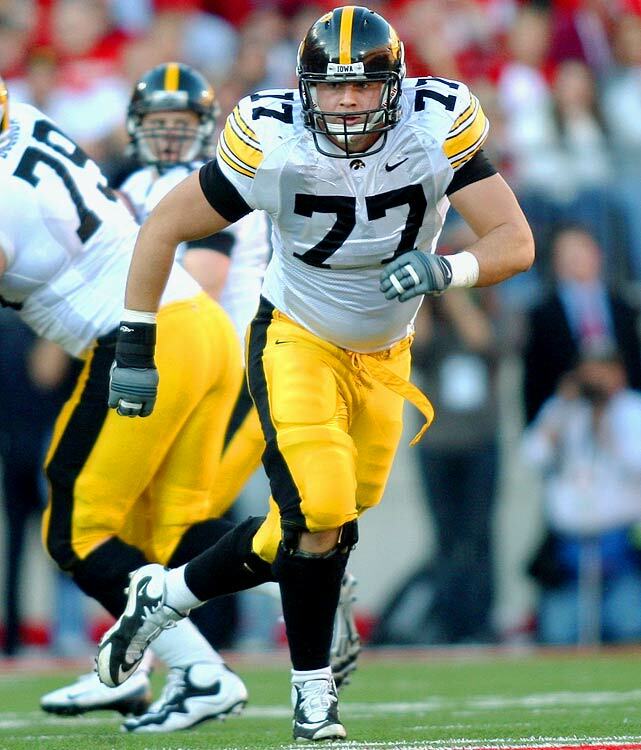 I really liked Reiff when he was at Iowa. He seems like the type of guy who will start his career at left tackle but eventually move inside or flip to the right side. The Chiefs need a tackling machine in the middle of their defense. They could also use an anchor in the middle of the defensive line, but nobody's worth taking at #11. This seems to be the typical range for teams to start loading up on defensive ends. Coples was pretty productive at UNC and the Seahawks could use an edge rusher. The Cardinals need to shore up their offensive line now that their offense seems to be sputtering a little bit. Barron reminds me of former Cowboys safety Roy Williams, who was overrated. And what better team to take an overrated player than the Dallas Cowboys? I don't think Brockers is a future superstar, but he is a solid run stopper. Ah, if only the Detroit King product had come to Michigan . . . Anyway, he seems like an active run stopper at outside linebacker for a 3-4 team. I think he would get lost as a true defensive end in a 4-3. I'm torn between picking an offensive lineman or Jones here, but offense line doesn't look very deep this year. Maybe they can get one with their next pick. The Bengals took Cory Liuget out of Illinois at #18 last year, so I'm just doing this for the hell of it. The Bears have a lot of parts to create a great defense, but what they lack is good anchor play in the middle. Poe is overrated, but the Bears will probably take him here and then watch him turn into a bust. Since Cortland Finnegan signed with the Rams in the off-season, Gilmore could fill his spot at cornerback. The Bengals have A.J. Green, but Floyd could be the big possession guy opposite him. This would give quarterback Andy Dalton two very good targets on the outside. The Browns need lots of help on offense, and Hill would be a big play threat almost immediately. Hill didn't catch a lot of balls at Georgia Tech, but he's an athletic freak in the same mold as a couple of his Yellowjacket predecessors. The Lions desperately need a cornerback and they haven't had a really solid one for several years. The games against Green Bay and New Orleans last season really exposed the secondary. The Steelers have been fielding a patchwork offensive line for the past few seasons and it shows. I really like the Texans and think they're a pretty solid overall team. Randle would help make this offense virtually unstoppable. The Patriots need an edge rusher and haven't had a solid one for the last several years. Defense wins championships, but Bill Belichick's defense has been struggling recently. The Packers offense seems to be chugging along just fine, so I think they need to upgrade the front seven. McClellin seems like a guy who would fit in well there. Matt Birk is probably about to retire, and the Ravens are a run-heavy football team. The 49ers are solid on defense, and since they love to run the ball, they could use a big and powerful run blocker on the interior. Just like with the Upshaw pick, Hightower could make their front seven quite formidable. Wilson is a tough inside runner with a little bit of burst, and they could use an upgrade in the backfield. Projection: Cornerback. Davis looks like a boundary corner at the next level because he's a physical player who should be able to hold his own in the run game. He has good size at 6'0" but doesn't show the instincts to look like a future safety, so I think he'll stick on the edge. He has very good speed and should be able to turn and run with most receivers, so I think he would fit best with a team that runs predominantly man coverage. I like his attitude and toughness on the field (he continued to play for a short time after he broke the bone in his back), but he doesn't flash the change of direction to look like a future superstar. The Sporting News breaks down the top 25 players for the upcoming college football season, and Denard Robinson checks in at #10. The only Big Ten player ahead of him is Wisconsin running back Montee Ball. Sam Webb's most recent column for the Detroit News is on wide receiver Sebastian Larue. Michigan needs a couple guys who can stretch the field with their speed, and while I like Jaron Dukes as a possession receiver, he's not going to turn short passes into long touchdowns. Check out George Atkinson III, who has a couple amazing runs here in Notre Dame's spring game. He only had 9 carries for 27 yards (3.0 yards per carry) as a true freshman in 2011, but if he can play like this during the upcoming season, he and starter Cierre Wood will be a nice backfield combo there in South Bend. Wyomissing (PA) Wyomissing Area outside linebacker Alex Anzalone committed to Ohio State. 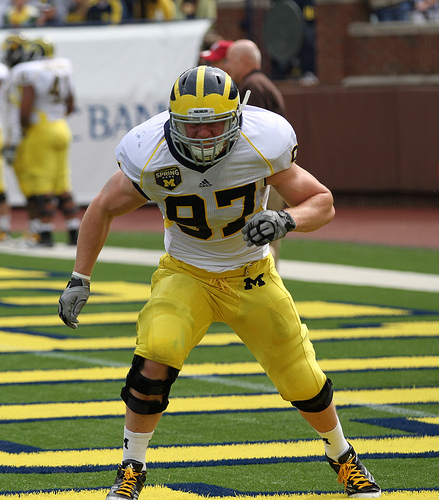 Anzalone was planning to visit Michigan in recent months, but much like Shane Jones (below), he was told that the Wolverines were full at linebacker. The 6'3", 220 lb. prospect chose Michigan's archenemy instead. He has impressive film and should turn into a very good SAM linebacker for the Buckeyes. Baltimore (MD) Gilman quarterback Shane Cockerille committed to Maryland. Cockerille is the teammate of defensive tackle Henry Poggi, who is strongly considering Michigan. However, Michigan fans shouldn't worry that Poggi will follow Cockerille. Poggi's top three at the moment are Alabama, Michigan, and Ohio State. Despite wanting to play quarterback in college, the Wolverines wanted him to play safety. Cincinnati (OH) Moeller linebacker Shane Jones committed to Michigan State. 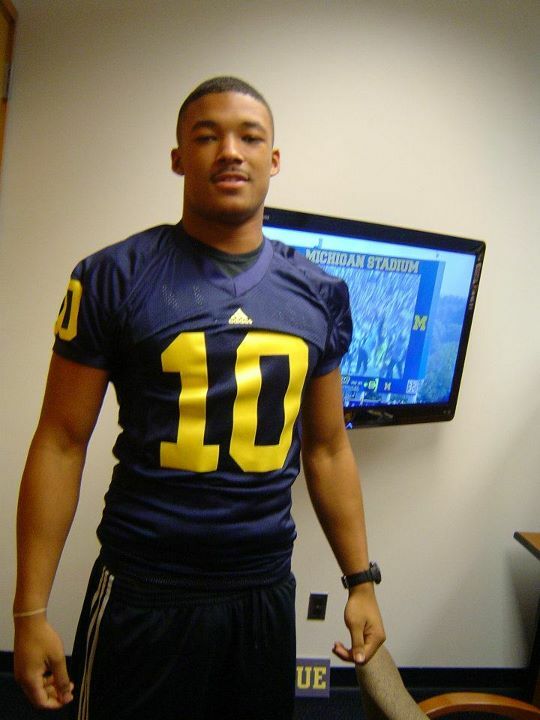 Jones was planning to visit Michigan in recent months, but he was told that the Wolverines were full at his position. It seemed odd at the time because he looks like a weakside linebacker and Michigan didn't have any weakside linebackers committed. 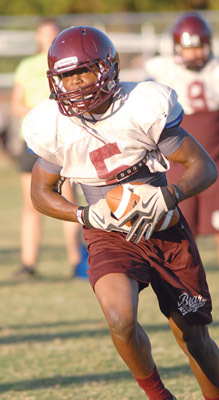 He'll join former teammate Monty Madaris, a wide receiver from the 2012 class. Bloomfield (NJ) Bloomfield offensive tackle Marcell Lazard committed to West Virginia. The 6'6", 293-pounder never expressed serious interest in Michigan. Everett (MA) Everett offensive guard John Montelus committed to Notre Dame. Michigan was an early possibility for Montelus, but now that the Wolverines are full up on offensive linemen, I guess the next best thing is a coach with an exploding head. Murrieta (CA) Vista Murrieta safety Su'a Cravens will be announcing his college destination on June 6th, which is his mother's birthday. Whenever guys set soon-ish announcement dates without visiting your school, you should be concerned. Cravens has not visited Michigan. Woodbridge (VA) C.D. Hylton linebacker E.J. Levenberry will be announcing his college destination tomorrow. His choice is down to Florida State and Michigan. Michigan defensive tackle Mike Martin is headed to the NFL, and right now it's just a question of how high he gets drafted. Here Martin talks about how he's improved his game since getting to Michigan, with some high praise for defensive coordinator Greg Mattison. This is an interesting post from Smart Football, which rounds up various posts on how Urban Meyer will run the spread at Ohio State. I hate Urban Meyer, but you've got to know your enemy . . .
Kyle Meinke discusses the guys who raised or lowered their stock during the spring. I disagree with listing Elliott Mealer as a "faller," though. As I mentioned before, I think it's quite possible that Mealer was the second string right tackle (instead of the starting left guard) for practical purposes. If Mealer had started the game at left guard, Burzynski would have been relegated to the third team while two less talented walk-ons (Kristian Mateus and Erik Gunderson) played tackle on the second unit. That seems like a poor deployment of personnel. Tom VanHaaren, Chantel Jennings, and Michael Rothstein discuss a few things going on with Michigan football recently. I agree with TomVH on all three questions posed, which is a general trend. He seems to have his finger on the pulse of what the program is doing and what the fans want. Projection: MIKE linebacker. 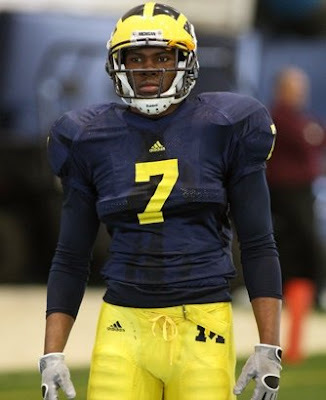 Levenberry has the ability to play either MIKE or SAM linebacker, but with Mike McCray in the fold for Michigan in 2013, I think McCray would be more likely to play SAM. Levenberry has a lot of physical tools, but he's a somewhat raw prospect. When it comes to technique, he seems well behind players like Joe Bolden and James Ross. He would probably benefit from a chance to redshirt, bulk up, and refine that technique. All of his physical talents suggest that he could be an all-conference player and develop into an NFL linebacker, but he needs some good coaching to get there. Todd McShay talks to the Detroit News about Michigan's top NFL prospects for the upcoming draft, including Mike Martin and David Molk. Scout released its updated Scout 300 on Wednesday, which means I'm convinced - there's been a conspiracy to give me carpal tunnel by 247 Sports, ESPN, and Scout. They all released or updated their 2013 lists this week. Here's the movement of the Michigan commits since March. What's the point of updating the rankings if there's this little movement? A total of 14 Michigan commits moved a total of 13 spots. 280. Yannick Ngakoue - MLB - Washington, D.C. Poll results: Who will be Michigan's starting WDE against Alabama? This question was asked prior to the spring game, but the last poll question was: Who will be Michigan's starter at weakside end against Alabama? The 6'2", 228 lb. sophomore played well in limited time last season, but at the end of spring practice, it seems he's #2 on the depth chart. He had 10 tackles, 1/2 a tackle for loss, and 1 interception. He will surely compete into the fall, and barring an outstanding fall camp from a true freshman, the choice is going to come down to Clark or . . .
Beyer, pictured above, got the start in last Saturday's spring game. He's listed at 6'3", 225 lbs. but he seems quite a bit bigger than last year. Last season he had 11 tackles but seemed slightly miscast as the backup SAM linebacker. Weakside end seems like a more natural position, but it's a position change nonetheless. Redshirt sophomore Jake Ryan, who is 6'3" and 230 lbs., started at SAM linebacker in 2011. He proved to be a playmaker by making 37 tackles, 11 tackles for loss, 3 sacks, 1 forced fumble, and 2 fumble recoveries. He started at SAM once again in the spring game. Some people are clamoring for him to play defensive end in an effort to get backup SAM Cameron Gordon on the field at the same time, but since Ryan and Gordon are literally the only two strongside linebackers on the roster, that seems unlikely. Incoming freshman Ojemudia is the only one of the four freshman defensive ends who seems to be slotted for weakside end. The other three ends seem destined for strongside end or even defensive tackle. He played defensive tackle at Farmington Hills Harrison and struggled a little bit playing defensive end in the Semper Fi All American Bowl, so I think he's a long shot to be an immediate starter at the position. I don't know who else would have earned a vote. The only other possibility would seem to be incoming freshman Tom Strobel, who might be a weakside end right now but looks like he'll eventually develop into a strongside end. Michigan offensive coordinator Al Borges earned a pay raise with his performance last season, nearly doubling the salary from his initial contract. Farmington Hills Harrison tight end Devin Funchess broke tradition last April when he committed to Michigan over Michigan State. 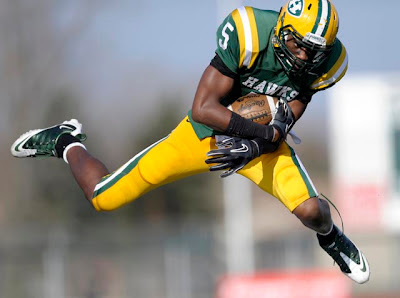 Despite MSU's strong ties to his school, Funchess inked his letter of intent for Michigan and immediately began injecting a bit of blue into the Farmington Hills Harrison (FHH) program. Although Devin's been busy "talking to the young kids" about Michigan while training hard for the upcoming season, he took some time out of his Tuesday afternoon last week to give TTB readers an update and answer several questions. FHH - Cass Tech rivalry: "That was a great game to be a part of because of all the high-talent players. . . . That game pretty much decided our whole season to me. I figured that we were going to win it all - because the level of players that were on the Cass Tech team was better than the rest in the state of Michigan." On not committing to Michigan State: "There are a bunch of high-level athletes [out of FHH] who have gone to Michigan State. They are a big time player for our high school athletes. . . . When we [Devin and Mario Ojemudia] committed to Michigan, a bunch of their fans were going all crazy, asking us what was wrong, calling us names and all that." Height and Weight: "I'm 6'4'' and a half/6'5'' and about 223 [pounds]. . . . The coaches want me to come in at around 225/230. They tell me I'll eventually get to about 240/245." Blocking: "That was always one of the weaker parts of my game, but I got better at it this year because my high school line coach taught me a different technique I can use on defensive linemen." Route running and splitting out: "I've run pretty much all of the routes that receivers usually run. . . . On the weekends I go to a camp to work on my footwork and routes. It's run by Reggie Wynns and Chris Archie. . . .The coaches told me that in the red zone, I'll get split out more for more jump ball type plays or play as a U-back. . . . It's a tight end off the line that's lined up in the backfield or spread out in the slot. I'd be behind the line of scrimmage and on pass plays, I'd start on the left and run over to the right and be the first option in the flat. And then when I move over to the slot, I can get motion when I line up there, and I'd usually be guarded by a slower linebacker. . . ."
Playing next season: "The coaches want me to play right away because they lack pass-catching tight ends, so they told me to come in and get ready to play. . . . It's probably about an 85% chance I step on the field this year, first game." A mini-celebrity: "My life has changed drastically. I used to be able to go to the mall or wherever without anybody knowing me. But [now] a couple people always will come up to me. And when I was on spring break [in Panama City, FL] a couple people came up to me because they recognized my face. It was kind of weird." It was somewhat of a surprise when walk-on guard Joey Burzynski got the start on Saturday. I'm not sold on Burzynski keeping the job through the fall, but congratulations to him for working his way into a starting role, if only temporarily. 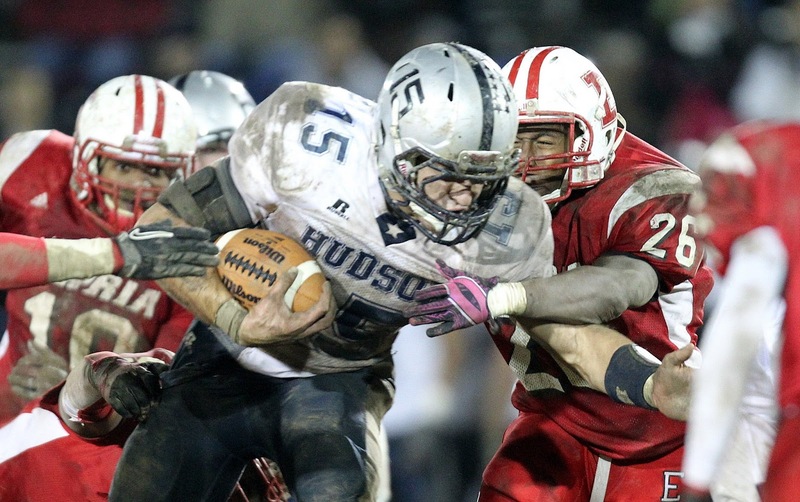 Hudson (OH) Hudson linebacker Ben Gedeon committed to Michigan last week. 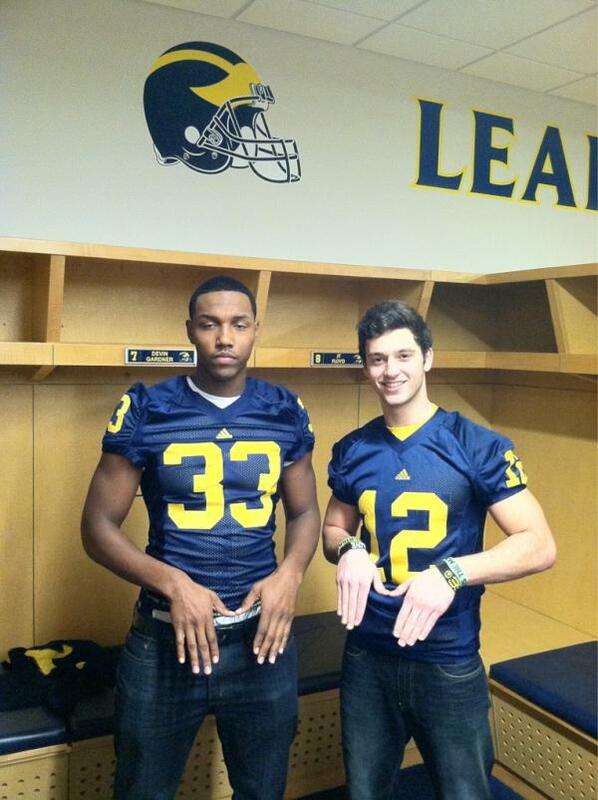 Hudson (OH) Hudson linebacker Ben Gedeon committed to Michigan. Snellville (GA) South Gwinnett linebacker Reginald Carter committed to Georgia. Michigan offered Carter early, well before his junior season began. However, Carter tore his ACL in South Gwinnett's first game of the year and missed the rest of the season. A high school defensive end, Carter is supposed to play inside linebacker for the Bulldogs. Richmond (VA) Varina cornerback Tim Harris committed to Virginia. He had been talking about visiting Ann Arbor this summer, but I would expect that visit to be canceled. Olney (MD) Good Counsel linebacker Dorian O'Daniel committed to Clemson. Michigan was high on O'Daniel's list earlier in the recruiting cycle, perhaps even sitting atop it. But O'Daniel was told that the Wolverines were full at his position so he canceled what was supposed to be a visit for this weekend's spring game with cornerback teammate Kendall Fuller. Clemson doesn't ever produce much in the way of linebackers, but Kavell Conner (Indianapolis Colts) had a decent season in 2011. Woodbridge (VA) C.D. Hylton LB E.J. Levenberry, Jr.
Joey Boas named Alabama, Florida State, Michigan, and Ohio State as his top four after the visit. Christian LaCouture named LSU, Nebraska, and Michigan as his top three after the visit. Here are a few details (but not much) on the injuries to Desmond Morgan and Jerald Robinson from Saturday's spring game. Robinson's seems not to be serious, and hopefully Morgan's falls in the same category. William Campbell looked alternately solid and inconsequential. He had one or two good plays but he just didn't seem to be going hard all the time. He should have destroyed walk-on guard Joey Burzynski (or so I would think) but instead got stalemated too often. Maybe the coaches are teaching him differently than I would expect, but it all seemed to start with his stance, which needs work from my perspective. Jibreel Black looks like a matchup nightmare for a lot of offensive guards, because he's too quick to handle with any consistency. He looks bigger than last year (although the neck roll might have had something to do with that). It also seems that Richard Ash has taken a step forward, and I was surprised by how big backup 3-tech Chris Rock has become. I saw glimmers of hope there for some competent rotation players. Quinton Washington and Ken Wilkins still didn't impress me. I didn't pay much attention to Jake Ryan because we already know he's a good player. Kenny Demens looked solid but unspectacular at MIKE. Desmond Morgan left the scrimmage early after getting chopped down on a blitz; he limped to the sideline and was later carted into the tunnel. Hopefully it was nothing serious. Cam Gordon was Ryan's backup at SAM, and he's definitely put on some weight since last year. Now he looks like a linebacker rather than a strong safety. I don't think he'll surpass Ryan, but he's a very good backup. It will be interesting to see what the coaches do with him in 2013 as a senior, because by that time, I don't think they'll be able to afford to keep him off the field. Mike Jones and Joe Bolden played as backup middle linebackers, but neither one was particularly visible. I saw a couple loafs out of Antonio Poole, which does not bode well for his immediate future. Kaleb Ringer looked like he was in great shape and he made a nice tackle on Justice Hayes, but both of those guys seem to be a ways down on the depth chart. The linebacker who impressed me most on the day was Brandin Hawthorne, who made a couple nice tackles for loss and grabbed a one-handed pick, albeit off walk-on Jack Kennedy, who floated the ball across the middle. Hawthorne looked good at times last year, too, but he's another guy who loafs once in a while, and that seemed to get him in the dighouse. The linebackers now have depth, which we haven't been able to say for several years. 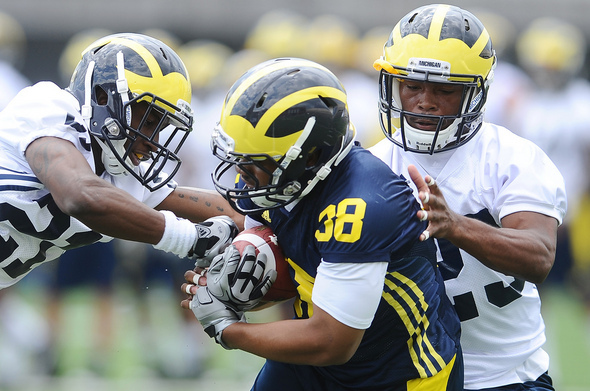 I truly believe that Michigan has five starter-level linebackers: Ryan, Gordon, Demens, Morgan, and Hawthorne. J.T. Floyd started over Terrence Talbott, despite reports that Talbott had overtaken Floyd. That was somewhat expected. Floyd looked solid but was never tested deep. Blake Countess made a nice pick on a late Devin Gardner throw and also made a couple nice tackles. The backup cornerbacks did not impress me, although I don't remember seeing much out of Talbott. Maybe he's the third guy and we'll be fine, but I don't think Raymon Taylor and Delonte Hollowell are ready. We know Courtney Avery is pretty solid at the nickel corner, and although he pulled up on a tackle, it seemed like he was trying not to submarine the leaping receiver; if it were a game, I would be disappointed by that play, but I think he was just trying not to hurt his teammate. The starting safeties weren't really tested in the running or the passing game. Jordan Kovacs should be good and practice reports suggest that Thomas Gordon has improved once again, but I guess we'll have to wait and see on him. Backup free safety Jarrod Wilson needs to get stronger. He did miss a tackle on Thomas Rawls that turned into a touchdown, but Wilson should be struggling through senioritis and ordering his prom tux right now. Tackling 220 lb. running backs is a tough task for a safety so young. Marvin Robinson looked solid as the backup strong safety and made a nice tackle for little or no gain in the run game. As long as Robinson's legal troubles are behind him, I expect him to improve and be a good in-the-box safety. He should be a good replacement for Kovacs after the latter graduates. Laura Prestin is on the right. I don't know who the girl is in the left, and I don't care who's in the middle. Former Michigan linebacker Steve Morrison, who played a little bit with the Indianapolis Colts, has spent time at Western Michigan, Eastern Michigan, and now Syracuse. He'll be coaching the linebackers with former Michigan defensive coordinator Scott Shafer, who holds the same position at SU, and former Michigan running back Tyrone Wheatley, who coaches the running backs. Denard Robinson didn't play much. We know what we have in Denard, and we're not going to know whether he can cut down on his interceptions until the fall. Devin Gardner looked very athletic. He seems to be faster and in better shape this year than last, but he struggled throwing the ball. He tried to force some throws, but the receivers really struggled to get separation from the defensive backs. That's probably why Gardner scrambled repeatedly, and he made the defense look silly at times. Third stringer Russell Bellomy looked like what we've been expecting - a game manager type who can scramble a little and make check-down throws, but he seems to lack the requisite arm strength for pushing the ball downfield. Fitzgerald Toussaint continues to look like a star on offense. Backup Thomas Rawls looks faster and stronger to me than he did in the fall. He seems like a viable #2 back and he runs angry. You could tell when he got the ball that the defense stepped up its intensity a little bit, because those guys knew they were going to have a fight on their hands to get him down. He did make a nice touchdown run early, but keep in mind that he ran through the tackle of backup free safety Jarrod Wilson, who should still be two or three months away from graduating high school. Vincent Smith continues to be subpar running inside, but he caught the ball well. To me it's a wasted rep when he's handed the ball to run up the middle. Justice Hayes is in the same boat. He doesn't have any mass or strength behind him. If there's an injury to Toussaint or Rawls in the fall, the coaches are going to have to look at freshman Drake Johnson or maybe moving Hopkins back to tailback. Hopkins and Kerridge looked pretty solid. Michigan should be set at this position, especially with reinforcements coming in the form of Sione Houma. As I mentioned above, the receivers really struggled to separate from the defensive backs. We didn't see a whole lot of Roy Roundtree, but he and Jeremy Gallon looked decent. I would not be surprised to see Gallon lead the team in receptions this season. He's going to be a tough matchup. After that nobody looked particularly impressive. Jerald Robinson had an embarrassing drop, Jeremy Jackson is who he is, etc. Games this season will continue to be won on the ground. This continues to be a weak spot. Brandon Moore didn't get any separation, and both Moore and Ricardo Miller struggled at the point of attack. They were playing against some pretty good defenders - Craig Roh, Jake Ryan, Cam Gordon - but tight end will be a liability this season, in both the running and passing games. I don't think we'll see as many two- and three-tight end formations as we did last season. Taylor Lewan is a very good left tackle. The starter at left guard was Joey Burzynski. All spring we've heard that Elliott Mealer was the front-runner for the left guard position, and I think that might still be the case. I have no inside information on this, but I have a feeling that Burzynski's start was kind of a practical matter. The coaches didn't want Lewan on the field much; with Michael Schofield as the primary backup at left tackle, they seemed to want Mealer to rotate in at right tackle when Schofield flipped. Burzynski doesn't have the ability to play tackle. Burzynski looked fair against the pass and somewhat ineffective in the running game. Barnum blocked well, but he had two bad snaps because he failed to get the ball up to Denard before getting out of his stance. That will be something to watch heading into the season. Barnum also needs to speed up his shotgun snaps, which are noticeably slower than David Molk's. He's also got to work on calling protections. Omameh looked mostly solid but got blasted by William Campbell. Schofield struggled some in pass protection, but picked it up as the day went on. As far as backups go, the walk-ons played like walk-ons do, outside of Burzynski. Graham Glasgow doesn't know how to pull. Kristian Mateus looks downright skinny. Erik Gunderson might be able to play in a pinch. Chris Bryant looked solid in the running game. Jack Miller still lacks size. Barnum must stay healthy this season. Everyone was excited about the spring game last year to see how much Michigan would change from Rich Rodriguez to Brady Hoke. This year we know what to expect, and the questions are more about the minutiae of the game. Will this guy play over that other guy? Who's the main backup at this position? Well, now's our chance. Here are the things I'm most excited to see in the spring game. Who "starts" at cornerback? Rumors this spring have suggested that Terrence Talbott is playing with the first team, sometimes over returning starter J.T. Floyd. I have never been a huge fan of Floyd's abilities as a corner, and I will be curious to see whether Talbott can perform when he gets the opportunity. We haven't seen much of Talbott since 2010 when he was a true freshman, and frankly, he was a kid who should have redshirted. How much has he improved? I'm not rooting for Floyd to lose his job; I'm rooting for the best player to play. I wonder which guy it will be. How good is the defensive line? Michigan lost three starters from last season, and the lone remaining starter is changing from weakside end to strongside end. Nose tackle William Campbell showed flashes of brilliance last season and is penciled in as the starter this year. Hopefully he can be consistent. Frank Clark and Brennen Beyer are classmates who are each vying for the weakside end position. My guess is that at least one of those two becomes a solid full-timer at some point this season. Can the freshmen play? I'm not expecting to see a great deal of Kaleb Ringer, but Joe Bolden is supposedly the #2 middle linebacker already and Jarrod Wilson seems to be the #2 free safety. I don't have high hopes for Wilson to look great on Saturday because safety is a difficult position to adjust to early. But so is middle linebacker, and the reports on Bolden have been glowing. How good are the receivers? I have serious concerns about the receivers' abilities to get open consistently. Tight end Brandon Moore is likely bound to be mediocre, Roy Roundtree struggled on the outside, and Jeremy Gallon seems to be a complementary guy who's being squeezed into a primary role. If Jerald Robinson isn't solid on Saturday, I will be very concerned going into September. Can the offensive get anything going? I might be wrong, but I have a feeling that the spring game is going to be a bit of a stinker. First of all, I doubt Brady Hoke and Al Borges are going to open up the offense at all. I think they'll be very vanilla. With two new starters on the interior offensive line (Ricky Barnum at center, likely Elliott Mealer at left guard) and questions at receiver, I'm guessing William Campbell and the linebackers are going to feast on the #1 offense. And remember - they won't have to tackle Denard Robinson. They'll just have to get close enough to him to make the officials blow the whistle.